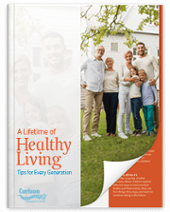 Many people assume that getting older means their body will inevitably grind to a halt. People are too ready to accept chronic pain as a part of daily life. These ideas are pervasive in today’s society, but they are not necessarily all true. 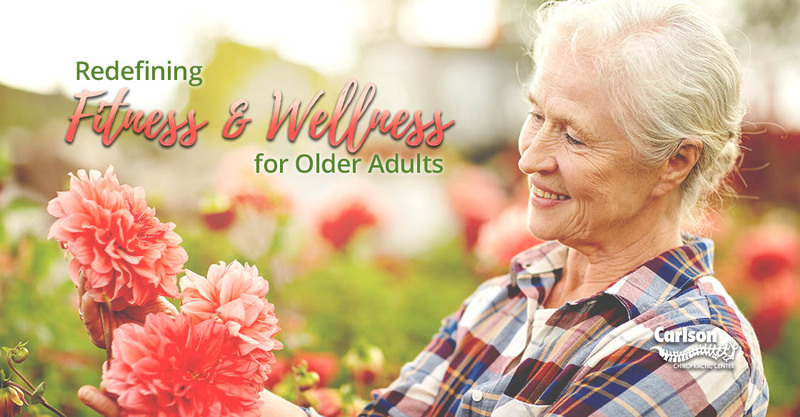 While your body is certain to wear down as you age, that doesn’t mean you’ll have to give up on your chance for pain-free fitness and wellness. At Carlson Chiropractic, we’ve seen plenty of seniors with as much strength and energy as many people in their 20s. Sometimes a lot more! So, what is the secret to maintaining fitness and wellness throughout your entire life? Staying active as you age is vital to your overall fitness and wellness. Inactivity is only going to contribute to your body slowing down, making you look and feel older. Try to make time for 30 minutes of exercise five days a week. If 30 minutes all at once is too much, keep in mind that you can break down your exercises into 5-10 minute routines that are easy to keep up with. Breaking up your exercise into small segments is great for getting started, making exercise easier on your body and easier to fit into your daily routine. It also doesn’t have to mean hitting the gym to use a treadmill or elliptical machine. Even if it’s just gardening or housework, small segments of light exercise can be enough to keep you healthy and active. Your wellbeing isn’t just about your body. Your mind plays a major part in your overall wellness and quality of life. Keeping yourself mentally active is important and can be done in a variety of ways. Take up a challenging and enjoyable hobby to stay sharp, whether it’s writing, painting, playing an instrument or joining a social club. Mixing physical fitness with friendly socializing is a great way to keep your mind and your body active, so join a walking, hiking or cycling club in your community. For older adults or seniors, it’s important to know your limits when it comes to physical activity. While you should be adventurous in what you do, you also shouldn’t push yourself beyond what you can handle. By no means does this mean you can’t try new things, but be mindful of any conditions or problems you have that might be made worse by certain activities. For example, high impact exercises like jogging can damage joints, especially if you’re not an experienced runner. Consult the healthcare professionals at Carlson Chiropractic about what your body can do — then get out there and do it! Regardless of whether you’re an older adult or someone much younger, talk to Carlson Chiropractic about your general fitness and wellness. We can maintain, improve or rehabilitate your body and give you the quality of life that you deserve. Check out our website for more information about the wide range of chiropractic services available to you.